It’s already been thoroughly nitpicked over the years, but apparently we’re all fighting about how to pronounce “GIF” again on Twitter. It’s only been, what, 32 years now? I see we're fighting about gif again today. McCulloch, however, points out that this sort of variation exists across many parts of language and should be embraced, not weaponized. "But Gretchen, how will I weaponize a trivial and harmless consonant difference to make other people feel bad and self-conscious about themselves?" Language variation is okay! It's fascinating! It doesn't need to be a tool to put people down! The point is, there are lots of other words that now exist in this world that have spellings that simply don’t translate to an expected pronunciation. Linkerd. Containerd. SQL. These are just a few examples. Sometimes, I wonder if this is the tech world’s way of sussing out who’s in the know and who’s a n00b — that weaponizing that McCulloch mentioned — by choosing pronunciations that would obviously go against the grain. It’s like Houston St. (for the New Yorker in the know, that’s “how-stin” not the Texas “hyu-stuhn”) or Couch St. (dear Portland…”cooch”? really?) or Manor Rd. (Austin likes “may-ner” here). If it’s pronounced “container-dee” and “linker-dee” why’s there no visual clue? Why no capital D, at least? And why pronounce it “sequel” for “SQL”? Because it’s the secret password to get into the cool kids clubhouse… or, rather the result of entering this new era with primarily text-based communication where pronunciation comes second to a word’s creation. 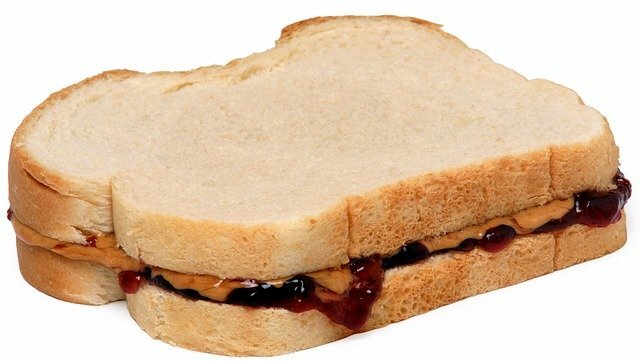 In the past, spoken language came first and was then later codified into letters and spelling, but now the tables have been turned and we find ourselves spending decades debating whether it’s “gif” or “jif” because the guy who invented the standard happens to want to pronounce this word a certain way. Maybe the real solution is to just live our lives forever in Slack and forget about that whole “talking” thing — it’s just a legacy app anyways. Microsoft and Facebook Intro Open Source Python Tools: Two new open source tools have arrived for the Python community this week. First, InfoWorld tells us of Microsoft’s speedy type checker for Python, called Pyright, which is an open source static-type-checking system for Python “that aims to be faster than existing type-checking solutions for Python such as Mypy.” The tool is written in TypeScript, runs on Node.js, doesn’t require an existing Python runtime to function and primarily meant “to be used as a Visual Studio Code plugin, but can also run as a standalone command-line tool.” Microsoft boasts that Pyright is “‘typically 5X faster’ than other Python type checkers that are themselves written in Python, such as Mypy, Pytype, and Pyre.” Next, Facebook announced that it is open-sourcing Python Test Runner (ptr), which allows developers to run Python unit test suites. Python Test Runner “crawls a repository to find Python projects with unit tests defined in their setup files” and then “runs each suite in parallel with configured enabled steps.” It runs on Linux, MacOS and Windows and is available on Github and PyPI. Swift Five is Alive: Next, some news for you iOS devs with the release of Swift 5, which Apple is calling “a major milestone in the evolution of the language.” According to the release, with the stability of the Swift Application Binary Interface (ABI), “the Swift runtime is now included in current and future versions of Apple’s platform operating systems: macOS, iOS, tvOS and watchOS,” with a focus on Linux, Windows and other operating systems as Swift development on those matures. The latest version also includes “a reimplementation of String, enforcement of exclusive access to memory during runtime, new data types, and support for dynamically callable types.” A playground is available to play with some of the new features and an updated version of The Swift Programming Language for Swift 5 is also available and free on the Apple Books store. Should we be scared of corporate-driven programming languages? This is the question being asked by Matt Asay in a recent story on InfoWorld, where he lays out a bit of history about the development of programming languages and looks at the trend of programming languages being driven by corporations. Calling the 1990s “the era of the freewheeling hacker,” Asay paints a picture of a time when “a starving PhD student could improvise a new programming language and within a few years the entire world was using it.” This, of course, in comparison to the 2010s, when “corporate-driven languages rule” and, “as evidenced by the rising popularity of languages like Kotlin and Go, seemingly the only way a new programming language hits the big time is with the generous backing of a megacorp.” Read on for some insightful analysis into what’s going on with languages and how enterprises are still trying to lock everyone in, one way or another, open source or not.